My local Tube is 125 Years Old | Life. Crazy. Beautiful. I am intensely fascinated by the Tube, otherwise known as the London Underground – for those that haven’t had the pleasure. Pleasure may not be quite the right word. Londoners whinge about it all the time. It is true that it can be unpleasant to have your face shoved under someones armpit, crammed in like cattle, whilst clenching every muscle possible to ensure you don’t (god forbid), touch someone else. Peak hour travel can be testing. Especially in summer, as Brits are not always too flash on the showering every day thing, or deodorants… but that’s another story. I learned yesterday, on a trip to the London Transport Museum (yes I really am that nerdy), that Borough Tube station, my local Tube, had it’s first lift installed in 1890. That makes it 125 years old. 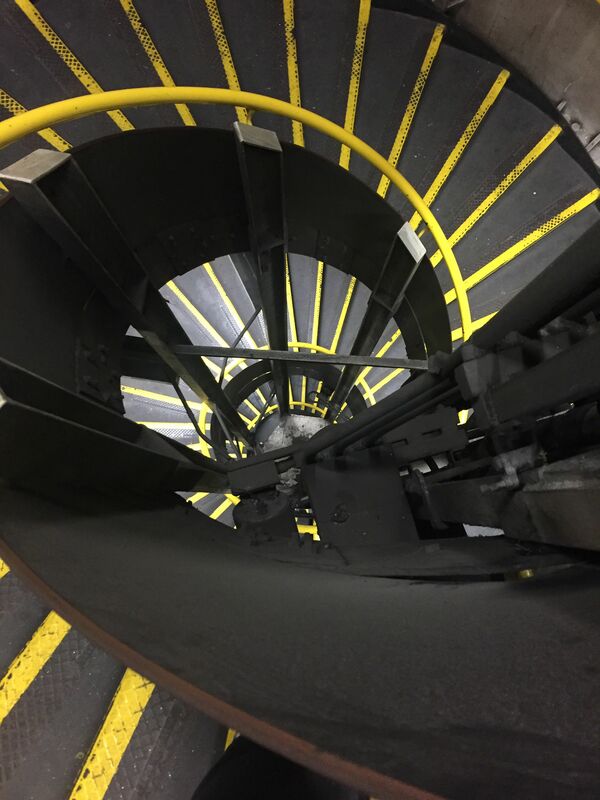 And it’s deep – 102 steps down. I actually went there today to take another look, it’s around 5 storeys as far as I can work out. And get this – the original tube lines were dug – get this – BY HAND. Yes, guys down a very deep hole, with shovels. Amazeballs. The original Tube lines weren’t actually tunnels, but were created by basically digging a ditch, and then covering the top. The first of what would become the Tube was opened in 1863, with the ditch method. The problem was that they kept hitting too much of London, like pipes, and foundations and all sorts. So they came up with the great idea of putting the tunnels deeper – called deep-level tube lines. Borough is on the Northern Line, which is the oldest part of the deep-level tube. The original tunnels were updated in 1920, so they are not the exact same tunnels as were originally dug. But they are pretty close – and the station is still basically the same, with updated lifts and trimmings. Despite it sometimes getting a bad rap from Londoners, the Tube is undeniably an efficient transport system. Yes, yes, I know the Japanese have bullet trains and there are super fast networks in other places – blah blah. But the Tube is somehow cool, in that it has moulded itself into this ancient city. It is such a part of London life, most people never really stop to think about it. Londoners spend a good part of their time, their lives, travelling underground on the Tube – over the past year 1.34 billion journeys were taken on the network. It kind of astounds me that there is this huge network of tunnels, with trains buzzing around, below us all day every day. It just seems to me to be an amazing example of human ingenuity and adaptiveness. And somehow, in our modern world we seem to think that amazing things are done with technology. There is no doubt that new technology, in terms of engineering technology taken from the mining industry, was used in building the Tube, even back in the 1800’s. But there is something special, maybe even a little bit magical, in that the bulk of the work was done by people power, and not machines. It gives me faith in what humans are capable of. Like anything is possible. If you want an insight into what life might have been like in when the Tube was being built in London, check out The Watchmaker of Filigree Street by Natasha Pulley. Great read. 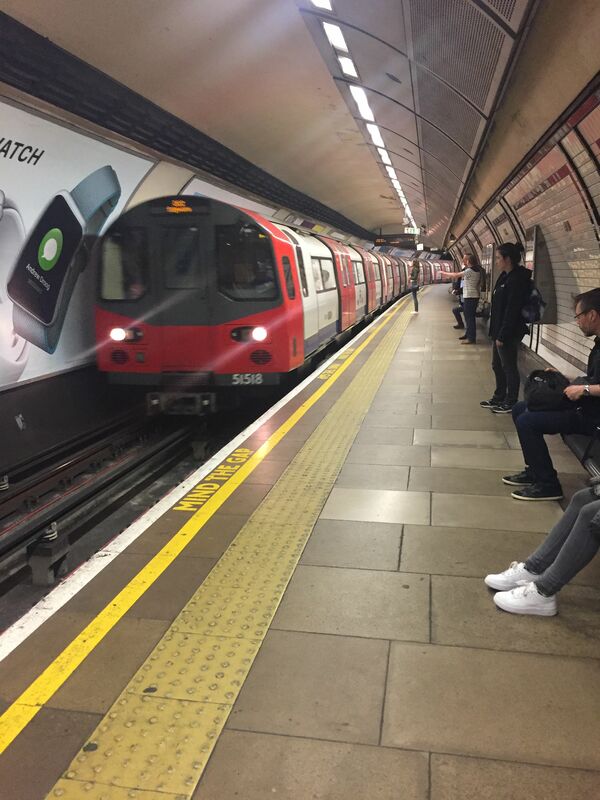 This entry was posted in london and tagged adventure, london, travel, Tube by Nimmity. Bookmark the permalink.